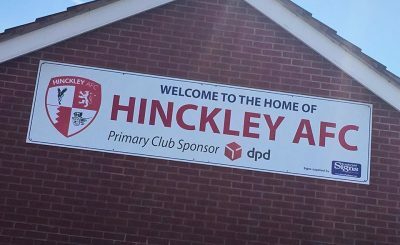 Hinckley AFC and Nuneaton Griff shared a hard fought 1-1 draw as neither side could find a second half winner at the Welfare Ground. In what was a tightly contested affair throughout, neither side gained supremacy at any stage and a draw was a fair result overall. Jacob Snape gave the resurgent visitors the lead shortly before half time, only for Grant Ryan to cancel it out shortly afterwards. John Ramshaw made one change to his side from the weekend, with Chad Timson replacing Dan Mullarkey on the right side. 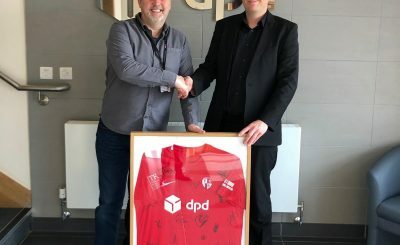 Griff, meanwhile, have been able to bring in former Premier League midfielder Lee Hendrie recently – while former Hinckley man Ryan Baldwin, who has played most of this season at step three with Bedworth, also started for them. Hendrie, though, was anonymous in the game and made little impact despite his top flight experience – his most notable moment was a late challenge on Jason Lee for which he was booked. For the most part, chances were at a premium and it took until the 21st minute for either side to register a meaningful attack as much of the game took place in midfield. 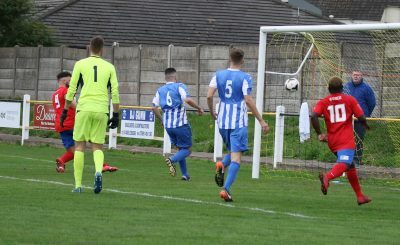 When the chance did come, it was a neat move down Hinckley’s right involving Sam Belcher and David Jones which led to Ryan pulling back for Louis Hamilton – his first time shot well dealt with by Griff ‘keeper Ashley Bodycote. 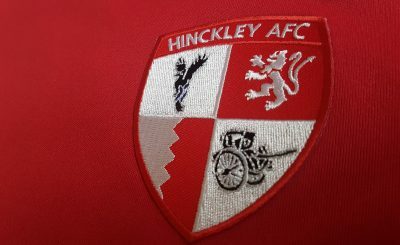 Yinka Adebowale then made two routine saves from Hendrie’s wide free kick and Charlie Morris’ scuffed effort before Hinckley threatened again. This time it was down the left, another energetic run by Chris Hollist saw him fed by Ryan, but his first touch was heavy and narrowed the angle as the onrushing Bodycote saved. Griff then had the better of the final five minutes of the half, and Snape fired narrowly wide before Morris called Adebowale into his first real save, tipping wide at his near post. Hinckley cleared a scramble from the resulting corner but Griff weren’t to be denied much longer, when Snape picked his spot from the edge of the box and curled a fine looping effort out of Adebowale’s reach. The visitors broke forward again shortly after, but Baldwin was denied a second by Adebowale. 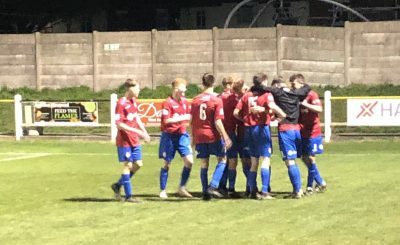 And just as Hinckley looked like going into the break behind, they levelled in first half stoppage time when Hollist’s cross bounced awkwardly for Ryan, who did well to control and bundle home a left footed shot on the turn. 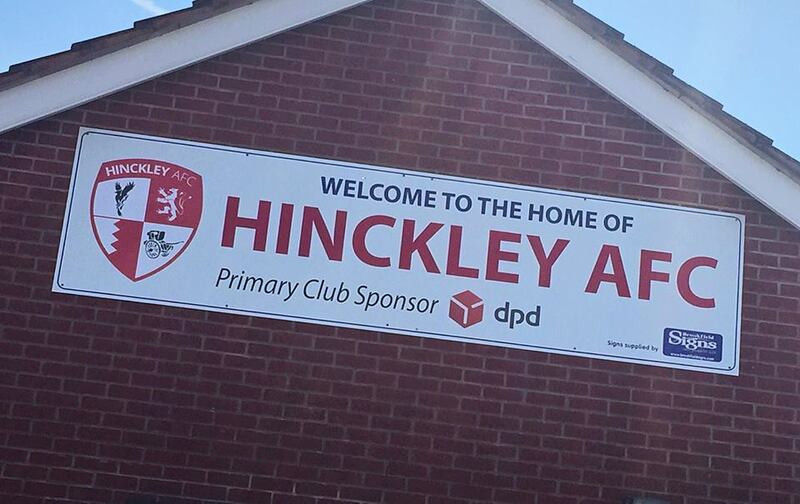 Scoring the equaliser gave Hinckley a boost on the stroke of half time, and they were the better side in the second half despite never really dominating for any spell. Kicking down the hill, Belcher sliced wide just a couple of minutes into the half, but he turned provider with a lofted ball for Ryan, from which the striker couldn’t hit the target. 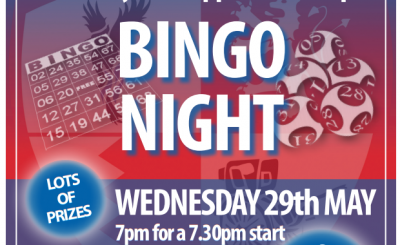 The same player then saw a turn and shot fly over as Hinckley knocked at the door. But Griff were always a threat on the break through their pacy front three, and Adebowale had to stick out a big right boot to deny Baldwin when Hinckley didn’t clear a cross. The sides then exchanged chances from corners, as first Ryan met Hamilton’s set piece but headed inches over, before Nuneaton came closer when Ky Green flicked a corner onto the bar with 13 minutes to play. That was as close as either side came to a winner, but Hinckley had a couple of half chances after that. Timson burst down the right but nobody could convert his cross, before Hamilton’s shot from the edge was comfortably saved when he should have squared for substitute Benn Minshull. But though both sides might feel they could have won, a point apiece was a fair reflection on the game as neither side could find their elusive second goal.